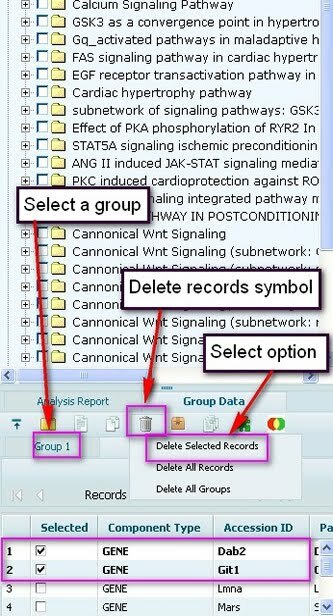 User data management provides simple tools which can be used by users (non-computer biologists) easily to data filtering, sorting, creating logical groups/sets of data and cross-comparison of the groups using SET operation (taking differences, intersection and union between the lists loaded into groups). For example: In figure 1 the data uploaded had 2 observations of types pvlaue and fold change. 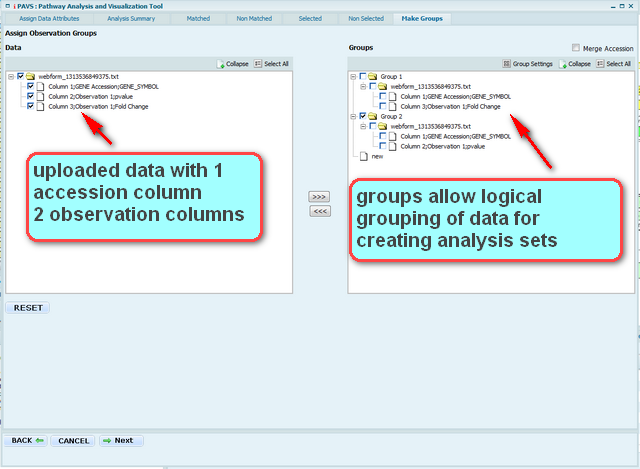 While grouping these two observation columns were splitted into different groups. One can also extract only the identifier column into seperate group or mix and match different columns from different files into one group. Apart from column operations system also allows user to select records from one group then create a new group for the selected set or transfer(copy, move) them to another existing group or delete the records. These simple data management features can be exploited in several ways for example:1) different organisms can be loaded into different Groups and used in comparative pathway analysis study (See comparative pathway analysis flowchart). 2) data from different experiments can be loaded into different groups and using SET operations can get the intersection, union, differences in records(genes) between the groups. 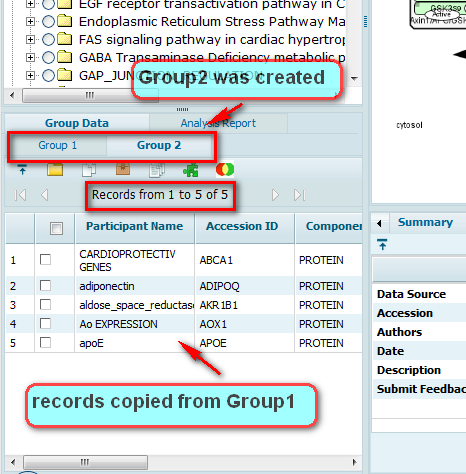 Figure 2: New group 2 was created and 5 records were copied from group 1 into group 2.